Starbucks, our Seattle-based coffee company that has taken the world by the cup, has already saved us several hundred dollars this year. How? In a word, Via. Via, is their instant coffee ( Italian/bold and Columbian/ milder), sold in a 12-packet box for $9.95, less than a dollar a cup. The Italian is strong enough for us to use a single packet for two cups of coffee. 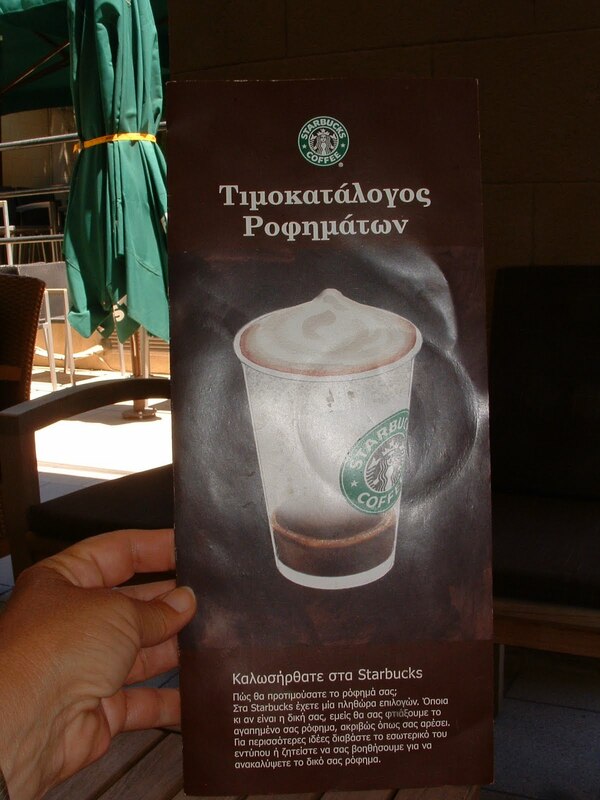 In Greece, the price averaged 2.50E, or a bit over $3, a cup for coffee; no free refill and was often made with a packet of a mild instant Nescafe. Being accustomed to at least two cups each in the morning and another in mid-afternoon of strong coffee, we calculated that over the course of the month we were gone, we would have paid more than $300US for coffee had we kept up our caffeine habit at restaurants and hotels. By using the hot water pots provided in our rooms -- a nice touch that we've found a part of our European stays -- and our Via, we saved big bucks. We replenished our supply at the Rhodes Starbucks. 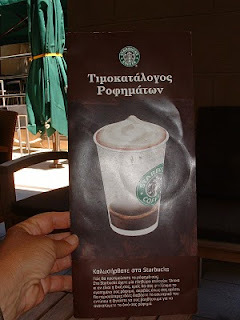 We were not so frugal as to pass up cappucinos or lattes, but made our own black coffee. . .except on our Easy Jet flight from Rhodes to London where we paid 2.50E for a cup of Via. Back home, I've purchased hot water pot to use at home that is similar to those we used in Europe. I took it along on our recent road trip through the Western United States. It was incredibly convenient to have coffee in our hotel rooms and it again saved us money; a cup of plain black coffee at Encore in Las Vegas was $3.50. We learned a lesson about room rates on our road trip. Opting out of the afternoon pool time when Las Vegas temperatures hit 107-degrees, we did some Web-surfing in preparation for our departure the following day. We were seeking reasonably priced first-night-on-the-road destinations. The place that had the best prices it seemed was Reno, where at its Silver Legacy Casino Resort, the internet price for a standard room was shown as $49. We still were hesitant to book it, just because some other place might call out along the way. We planned to just call from the road the next day to make the reservation. Out of curiosity, I called the hotel while we had the price on the computer and was told the rate for the sametype room on the same night would be $89; at best it would be $59 if I held any of a number of memberships. . . that settled it; we decided to book then and there - using the internet. 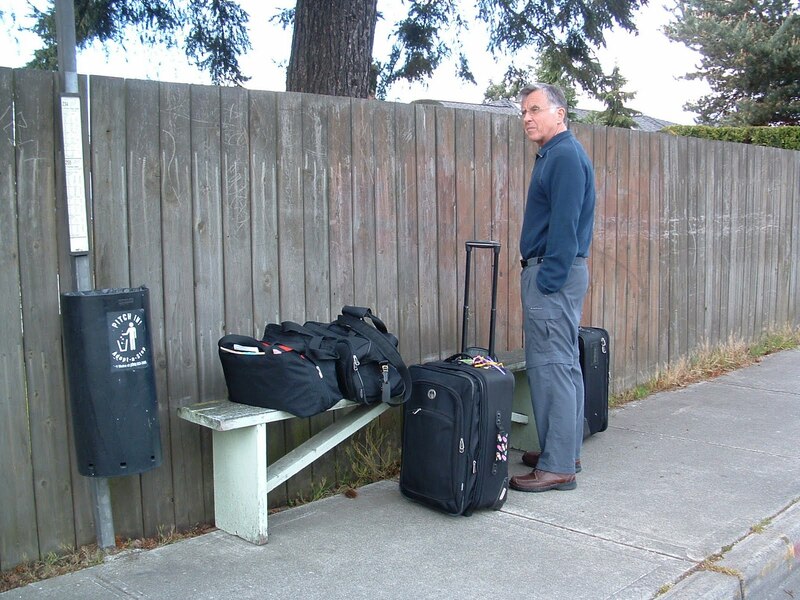 If you pack as we do - no more than a roller bag sized for an overhead bin and smaller carry-on bags then public transit systems can be navigated with luggage and save enormous amounts of money. Using our local Metro bus and new LINK light rail system we traveled from our Kirkland home to SeaTac some 25 miles away for $10.50 for the two of us; taxi fare would have been $50. In London we caught the Piccadilly Line (The Tube) for a 45-minute trip to Heathrow after walking two blocks to the station from our hotel. The cost for both L9, or about $13 at the exchange rate at the time. This compares favorably with the taxi fare to Paddington Station and then the Express Train to the airport. The train tickets alone would have been L33 or just under $50US. United Kingdom: Val and Bill Kitson, the murder-mystery writer and his editor wife, whom we met in Crete, reported staying at a great -- reasonably priced as well -- place on a recent stop in his book signing tour. They recommend The Best Western in Mexborough where they nabbed a Saturday night stay for L56 and that included free WiFi and a buffet breakfast. Greece: Michael has sent some great ideas for places to stay and eat in Karpathos, Greece. Karpathos is an island between Crete and Rhodes where we'd contemplated a stop on our recent trip, but ferry schedules didn't cooperate. We would like to return to Greece in the spring and Michael has recommended Holy Week as the best time to visit Karpathos and Olympos for the island's best photo ops. Do a little armchair travel and check out his son's website, http://www.karpathos.org/ for great photos and information. We are always looking for travel tips; if you have some to share please comment below or send them to travelnwrite@msn.com so that they can be included in a future Tips Post. And some places NOT to visit. . .